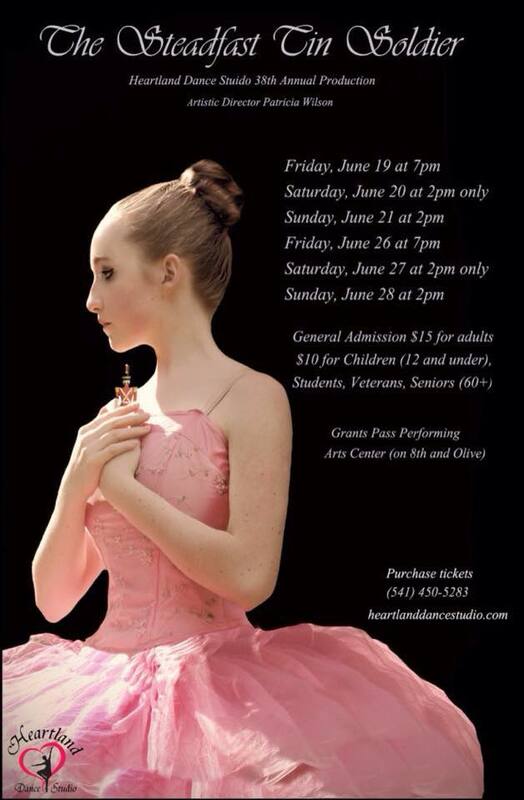 Heirloom Organics is proud to sponsor the Heartland Dance production of “The Steadfast Tin Soldier.” If you are in the Grants Pass area, be sure to make it to one of their performances! This is a wonderful production, full of talented dancers. See poster for show times and ticket prices. 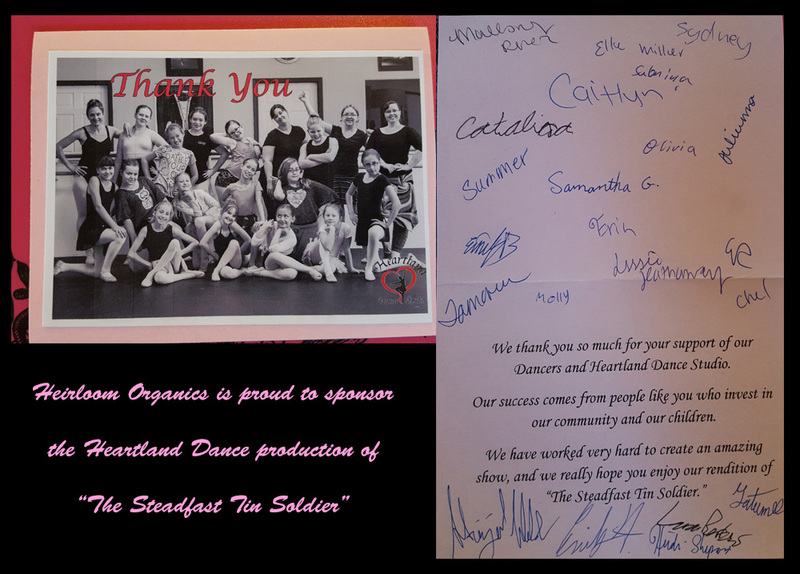 This entry was posted in News and tagged ballet, Grants Pass, Heartland Dance, sponsor, sponsorship, The Steadfast Tin Soldier. Bookmark the permalink.